Easy to switch to.Easy to use. What is the SportSavvy story? SportSavvy is a true Canadian Success story. 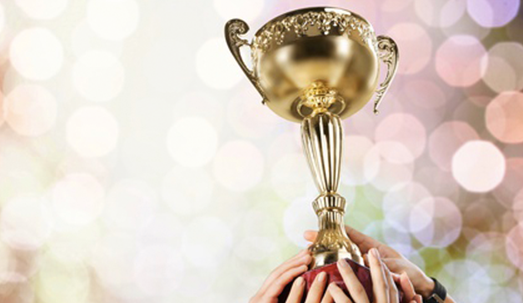 We won the largest known 3rd-party evaluated software RFP competition in North American club history. SportSavvy s talented staff takes pride in making robust software that is easy-to-use. From small clubs to the largest club in North America to Governing bodies, Sportsavvy s software has been helping sports organizations since 1998. We get excited about assisting sports clubs and administrators with those day-to-day routine, yet sometimes cumbersome chores associated with playing and managing organized sports. Today we are quite possibly the fastest growing sports automation platform in the world. No matter what type of team sport your organization is involved in, our league management software is simple to adapt to and can get you up and running quickly. What measures does SportSavvy take to ensure my data is safe and secure? At SportSavvy we take systems and security standards very seriously. No joking around here. We exceed industry security standards through our continuous commitment to creating an environment in which data and system security and business continuity are top of mind at all times. The following measures are constantly maintained in order to ensure our customers can be rest assured that their data is safe and secure with us. EV/SSL All registration information collected within the SportSavvy system is done via web pages that have been secured with SSL encryption and EV/SSL certificate ensure that the security of the pages is clearly visible to end users by displaying a lock and a green address bar background. PCI/DSS level 4 compliant All servers through which customer credit card information passes through are certified PCI/DSS level 4 compliant, and no credit card data is ever stored on SportSavvy servers. External 3rd party audits SportSavvy servers are continually scanned & verified via a 3rd party to ensure they are secure and up to date with the latest security updates. Database snapshots To prevent against data loss due to a user action, daily snapshots are taken of all customer databases. In the event of an accidental action by a user, the system can be quickly restored to the last day s state. Data housed in Canada All data is stored on Canadian soil, preventing foreign agencies from accessing sensitive information. What are some of the unique scheduling features that SportSavvy offers? Our schedules are perfectly balanced (e.g., start times, field usage) and can get automatically published to your website. You can make changes simply and have those changes seamlessly and automatically ripple throughout the your organization notifying your players, parents, coaches and referees. You can create partial or full schedules, tournaments, trash schedules and rebuild them in seconds, automatically publish schedules, swap games, take into consideration no play dates and other constraints easily, have mathematically perfectly smooth schedules across times of day, day of week, facility…the list of what our scheduling does goes on and on and it s easy to use! Why would I choose SportSavvy to manage my organizations scheduling requirements? SportSavvy s scheduling solution was created by a team of best-in class experts including one of the top scheduling gurus in the world. Our scheduling solution was architected by a doctoral level math professor at one of the largest math school s in the world. It doesn t get any bigger or at a higher level than that. Our team has passionately worked hands-on with sporting organizations since 1998 to develop a class leading scheduling system. Let s put some meat on the bone with a real-life example ¦one of our clients schedule their whole season, 2,800 games, from start to finish in an afternoon. The schedules are perfectly balanced (e.g., start times, field usage) and are automatically published to their website. What level of support can be expected from SportSavvy? Our team of SportSavvy Coaches are truly SportSavvy. They are subject matter experts in all things related to Sports Management. They are available to provide you with a seamless experience using our best-in-class league software. Click here to review the SportSavvy Support Objectives. We accept VISA ® MasterCard ® American Express ® and other forms of payment. Payments can be validated immediately through your Merchant account and our SportSavvy reporting tools. Remember, you own  your Merchant account. Payments flow directly into your Back Account daily. Using SportSavvy s preferred Merchant account provider, you are assigned a dedicated merchant Merchant Account representative, you will receive competitive rates, and are assured automatically synchronized updates so every penny can be tracked easily! How are you able to offer your solution at $0? Like you, we believe in the power of sports. We see the positive impact sports has on our youth and on our community. Whether playing for fun, to stay in shape and/or to win a big honkin trophy, we re playing together on a level playing field. This is what sports does for players and what SportSavvy does for amateur sports organizations. Because of SportSavvy s Quality and Size we have been able to strike exclusive partnerships with a growing list of some of the highest quality corporate and professional organizations. These organizations are committed to being proud sponsors of clubs like yours. As a result, we have turned the traditional software model upside down, converting software from an expense into a revenue stream. Welcome to SportSavvy s Social Responsibility Initiative ” our $10 million Challenge ” with a goal to put $10M back on the playing field and to help promote a healthy and active community. What communication tools does your solution provide? Club Website: get your website up in about the same amount of time it takes to play/watch a 9 inning game of baseball! With specific pages for Coaches, Referees, Teams, Players, and Parents you can feature the right kind of information to the right audience. Email Notifications: easily send emails to your entire organization, a division, a team, a player or any group. Players and coaches can also send messages in the Player Pages area. Automated emails are sent when a game gets rescheduled or referee assignments change. Last Minute Game Alerts: a sudden rain-out or field cancellation can send a club into scramble mode. But with SportSavvy that scene is a thing of the past. When an administrator makes a scheduling change that change ripples out with notifications to assigned Game Officials, Coaches, Parents and Players with automated emails. Leagues and stakeholders can also opt-in for text message notifications (fees may apply). Coach and Team Chats: Leagues, Coaches and Players can post Announcements, Discussion topics and Wall postings. Players can notify coaches of their attendance, chat with their teammates and coaches, and Be In The Game ® long after play has ended. Use this private and password-protected kid-friendly area to keep the fun and learning going after the game! Car Pooling: parents can contact each other to arrange for car pooling inside your personalized, private and password protected 100% kid-friendly player and team pages. Use our rostering tools to get players from the same geographic location on the same team. Game Results and Standings: automatic and real-time publishing of game results, stats and standings to your public club webpage and to the private player pages and coaches pages. Does SportSavvy enable us to schedule referees? RefSavvy is fully integrated into SportSavvy. You can automatically publish offers, advertise openings or manually create referee assignments that reflect your game official requirements and take into consideration factors such as officiating levels, age gaps, facility and time preferences,. This software is easy to use and you ll be up and running in no time. Register on their preferences and abilities are stored to be used when games are scheduled. Use one of three methods of assigning referees or umpires – manual, computer generated or advertise offers to qualified candidates. Fully-integrated into scheduling, communications, payroll reporting, etc. – and its easy to use! Does SportSavvy offer features that enable fundraising? With the power of the many on your side, you ll be able to take full advantage of SportSavvy s platform and large client base to get top products and services at competitive prices for your members through your very own Club and Team Store. And at the same time you ll generate mucho fundraising dinero for your sports organization. Our exclusive fundraising partners offer the opportunity for organizations like yours to earn top fundraising dollars with no up-front costs, no minimum purchase and no obligation. Plus, 10% to 30% of every dollar spent by your members goes back to your organization and you don t have to manage or worry about logistics or inventory. Does SportSavvy have robust Financial reporting available? With over 150 standard reports, you can see every detail of your organization, from registration number to team rosters. Detailed financial reporting allows you to reconcile everything down to the penny and gives you breakdowns on your costs for everything from uniforms to field costs. Our system also integrates seamlessly with most common accounting packages, saving you from having to enter the same again information into your accounting system. A full suite of financial management tools are available for registrations, inventory, facilities, rentals, club merchandise and much much more. Slice and dice your league’s financials using a significant number of league and management reports. Does SportSavvy have website hosting options available? Does SportsSavvy provide any Facility Management tools? SportSavvy allows you to Maximize the use of your facilities. You can Integrate practice and games, sell unused facility time to your members or to the public over-the-counter or online. Changes are posted immediately on the website which improves communication and makes this solution super easy to use. Does SportsSavvy provide any discount functionality for families or larger groups? SportSavvy has many standard group and family discounts that you can apply to your registrations. If your organization’s discount structure is unique, SportSavvy can program it for you. Current discounts include: multi-player, multi-family, percentage discount, dollar discount, after a certain number of registrations in a family, and more. What relationship does SportSavvy have with the OBA (Ontario Basketball Association)? Free Sports templated and hosted WordPress website; Free system support including club-personalized Help Desk, Wiki/FAQ, support documentation and videos, live webinar training (target for live sessions: six per week over daytime and evenings during peak periods), convenient access to recordings of live training sessions; Competitive Merchant Account rates (Visa, MasterCard); The ability to honour and promote existing sponsor relationships. Tell me more about Sport Savvy s agreement with Oakville Soccer? Through an RFP process in 2011, the club engaged SportSavvy as its technology solution for a variety of club-wide operations, including player registration, league management, scheduling and referee management. We reaffirmed our selection of SportSavvy after a second RFP process conducted in 2015. Among other things, SportSavvy was selected based on the scope of functionality that its product offered in comparisons to its competitors within the marketplace (see reference letter below). On behalf of the Oakville Soccer Club, I am pleased to provide a letter of support and endorsement of the SportSavvy Registration & League Management Software System. As the largest amateur soccer club in North America with over 20,000 aggregate registrants enrolled in a variety of indoor and outdoor soccer, we rely on SportSavvy to provide a number of quality services in order to provide our membership with the best possible experience. Through an RFP process in 2011, the club engaged SportSavvy as its technology solution for a variety of club-wide operations, including player registration, league management, scheduling and referee management. We reaffirmed our selection of SportSavvy after a second RFP process conducted in 2015. Among other things, SportSavvy was selected based on the scope of functionality that its product offered in comparisons to its competitors within the marketplace The Oakville Soccer Club began its relationship with SportSavvy beginning with its 2012 Summer registrations and associated program management. Since then the Oakville Soccer Club has worked collaboratively with SportSavvy to ensure the vendor has a full understanding of the Club s requirements and what can be done to facilitate them. The Club has found SportSavvy to be a committed partner in supporting our requirements including an active involvement in providing solutions and enhancements in the system while continuing to provide a commitment to training customer service. We are pleased to be part of a strong partnership with SportSavvy and look forward to a great relationship moving forward.